NO OTHER SOUTH BEACH RESORT offers this harmony of Beauty & Ambiance, 5 Star Quality Amenities & Service, Private Outdoor & Ensuite Dining, Prestigious, Tranquil & Convenient Art Deco District Location. UNIQUE OASIS. In the most beautiful and coveted section of South Beach. If you have ever wanted the best.If you have ever waited for the best. Make no mistake about it. Nothing has ever prepared you to be pampered like this. This brand new building’s unique design sets it apart from all others. Elegant, modern, intimate, and within steps to everything desirable under the sun–Lincoln Road shops, historic Espanola Way, Miami Beach Convention Center, Jackie Gleason Theater, and the blue Atlantic ocean. It is located right in the heart of the historic South Beach Art Deco District. Penthouse Suites with 1,300 SF and Standard Suites with 700 SF of indoor and outdoor living space for entertainment, dining, and relaxation. Live like a king and bask in the glory of the South Beach’s beauty. All Suites Appointed with a Luxury King Size Bed, Queen Size Pull Out Platform Sofa Bed, European Kitchenette, Oversized Balcony with 4 person Dining Table, Nespresso Coffee Machine with Complimentary Coffee Pods, Marbled Walk-In Shower, His and Hers Granite Countertop Vanities, Dual Flat Screen TVs, Bluetooth Enabled Speaker System. Luxury. Style. And ocean views. 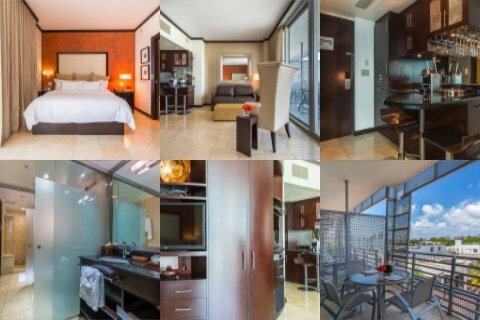 Located in the heart of the South Beach Art Deco District is your Miami Beach hotel, SBV Luxury Ocean Hotels Suites. Developed with you, the luxury vacationer, in mind. SBV is right on the beach, where the seagulls hover, the ocean curls, and you can cover your toes in the white sand. This five-star Miami Beach hotel offers all the luxury ambiance, amenities, and service you need, want, and deserve. For your dining pleasure, there is private outdoor and ensuite dining. For the luxury vacationer in you, your Miami Beach hotel offers beauty, tranquility, and peace as you vacation in a place like no other. Watch the palm trees swing in the breeze as the sun glistens your face. Walk to all the local South Beach vacation spots such as Lincoln Road shops, historic Espanola Way, Miami Beach Convention Center, Jackie Gleason Theater and the blue Atlantic ocean. This will be a vacation like no other, a vacation you will never forget, a vacation designed just for you. 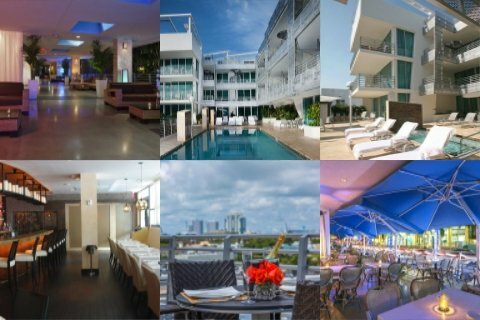 SBV is a new Miami Beach luxury hotel located in South Beach. It’s the latest top-rate, five-star hotel in Miami Beach. It brings a feeling of calmness and tranquility to vacationers year round. The beach on the Atlantic Ocean is made of natural, pure white sand and cool blue ocean waves and is always open for vacationers. And, the scenery and wildlife is amazing. Calling Miami Beach home, this affluent hotel offers both the amenities and service you’re looking for in a vacation spot and a city that offers all the entertainment, dining, and shopping experience you want. You can opt to go to Lincoln Road where you’ll find shops, restaurants, bars, art galleries and clubs. Everything you want to experience in South Beach can be found right on Lincoln Road. But, if Lincoln Road isn’t enough to see, you can always go to historic Espanola Way, home of restaurants, bars, and clubs. Plus, there’s always something happening at the Miami Beach Convention Center and Jackie Gleason Theater. Whatever you want to do, you’ll find it right here at Miami Beach’s South Beach. Home to Miami Beach is South Beach, the most famous city in Miami. People come from all over the world to enjoy the city, take in the sights and, we can’t forget, the beach. Our new luxury Miami Beach hotel is located right in all of the action of South Beach. Being smack in the middle of the town is everything when it comes to vacationing in paradise. And, SBV Luxury Ocean Hotels Suites has that and a whole lot more to offer, including leisurely dining, a nightlife and beach-going bliss. SBV is a five-star hotel offering penthouse suites with 1,300 SF and standard suites with 700 SF of indoor and outdoor living space for entertainment, dining, and relaxation. Your suite will be an oasis of pleasure and serenity as you relax in between your vacationing escapades. The hotel itself is like a vacation spot, offering an outdoor pool, spa, restaurant, family rooms, and bicycle rentals. This Miami Beach hotel offers a luxury king size bed, queen-size pull out platform sofa bed, European kitchenette, oversized balcony with a four-person dining table, a Nespresso coffee machine with complimentary coffee pods, a marbled walk-in shower, his and hers granite countertop vanities, dual flat screen TVs and a Bluetooth enabled speaker system in all suites, including penthouse and standard. Miami Beach is known for the luxury, more affluent vacationer. With the Miami Beach experience comes a price. Some things you can do on the cheap, like going to the beach, while some things require a bit more money. South Beach. This art deco district is known as the #1 place to visit when you come to Miami Beach. Known as “America’s Riviera” and the “Art Deco Playground,” this town is a sanctuary of play. With SBV right in the heart of South Beach you won’t have to go far to enjoy all it has to offer—entertainment, food and fun. Ocean Drive. Hitting the #2 mark is Ocean Drive, one of the most famous boulevards in Miami Beach, the country and maybe even the world. Once you drive or walk in this art deco street you’ll see just how much fun you can have. Enjoy one of the many shops, restaurants, bars, or clubs; relax on the beach; or take a stroll down the boardwalk. Haulover Beach Park. Clothing optional. Enough said. But, that’s not all that Haulover has to offer vacationers. You can buy and fly a kite, go charter fishing, or play volleyball. The beach is located just north of Bal Harbor so if you get tired of beach-going you can always drive to Bal Harbor for some exquisite, luxury shopping. Lummus Park. From about 5th Street to 15th Street is Lummus Park. Here, you’ll find all the stereotypical locals and vacationers such as fit sunbathers, bikini-loving celebrities, and supermodels. If you’re lucky, you can catch the supermodels in photo shoots for commercials and magazines. Volleyball nets, beach gear rental kiosks and restrooms are also available. Lincoln Road Mall. In between Alton Road and Washington Street is Lincoln Road Mall, a mile-long walkway filled with shops, restaurants and bars. In 2011, the Lincoln Road Mall was added to the National Register of Historic Places. On Sundays, you can enjoy the local Farmer’s Market where you can buy fresh fruit, vegetables, and flowers.